'Boring' Singapore City Photo: This Void Deck has been gazetted as a polling station. This Void Deck has been gazetted as a polling station. 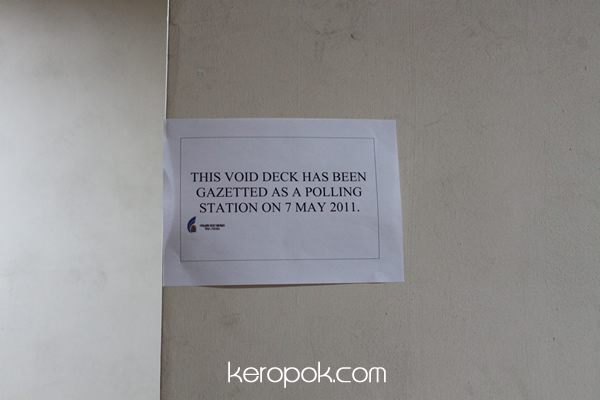 This void deck has been gazetted as a polling station on 7 May 2011. There are many places where citizens of Singapore will be voting. Some will be voting at void decks (if you are wondering what that is, it's the ground floor of the government housing blocks), some are at schools, etc. I saw this notice at one of the void decks, but it's not where I am staying.